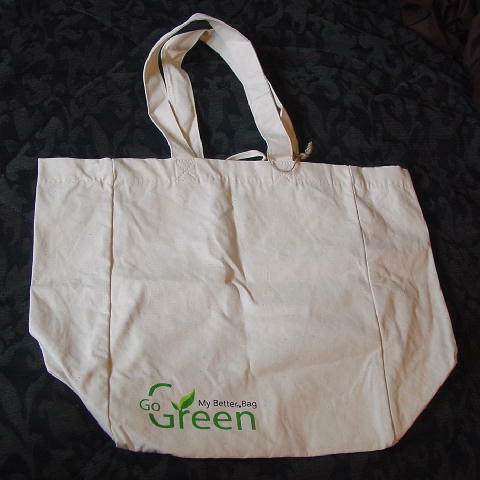 This never-used 100% organic cotton tote is in a light sandy-bone color. On both sides in black letters is My Better TM Bag and in green letters is Go Green. It has two 21" by 1 3/8" straps. She got two as gifts.